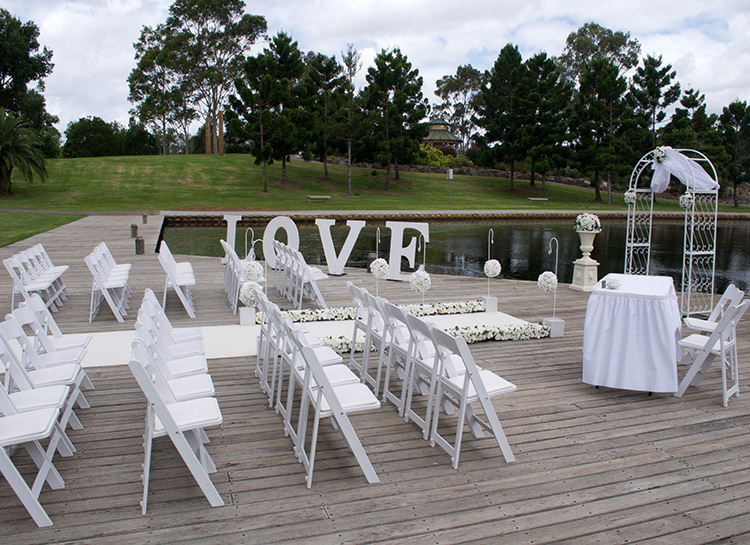 Nurragingy Reserve Wharf is one of our favourite wedding ceremony venues to decorate. We have a fantastic working relationship with the Colebee Centre and as such we’ve created a Colebee Centre Wedding Ceremony Package exclusively for brides and grooms who book their wedding reception at the Colebee Centre and want to have an outdoor wedding ceremony. 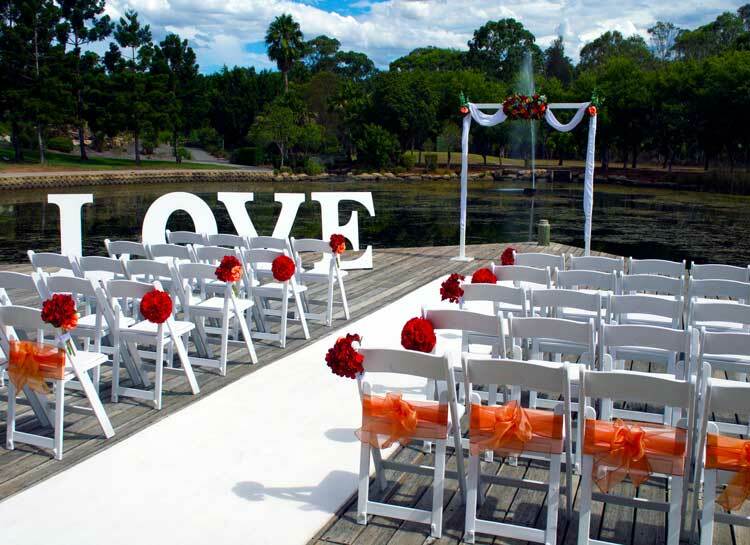 The Colebee Centre wedding ceremony package is the perfect wedding decoration and hire setup for Nurragingy Reserve Wharf. You can discover everything included in the wedding ceremony package on the Colebee Centre Wedding Ceremony Package page. Nurragingy Reserve Wharf is a large space situated directly in front of the Colebee Centre at Nurragingy Reserve, Blacktown. The area sits over the water, creating a tranquil setting with the lush green background and the Chinese garden and waterfall off in the distance. 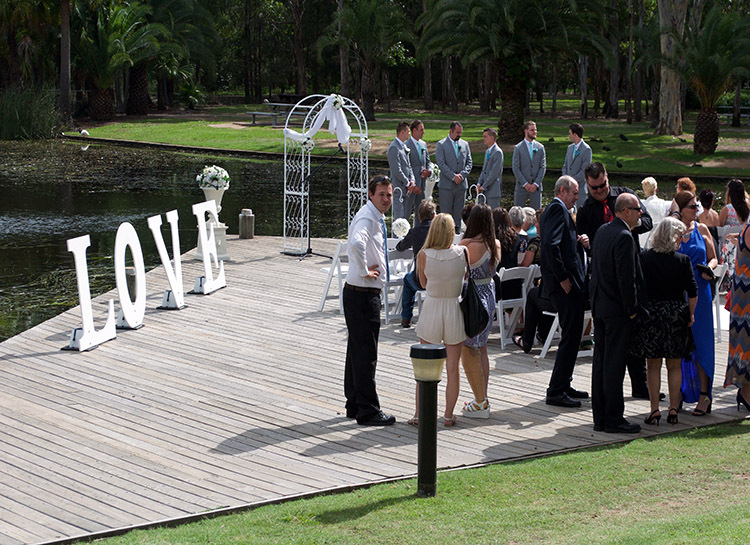 This is one of the best locations throughout Sydney for a wedding ceremony and reception venue. 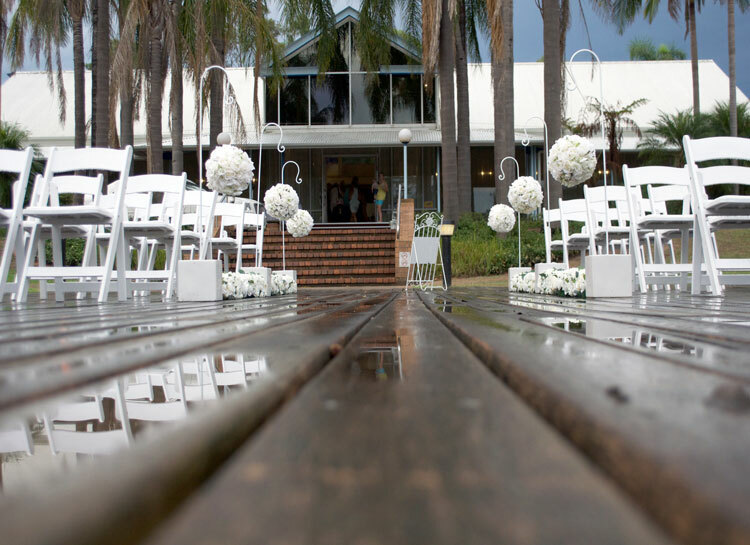 The beauty of Nurragingy Reserve Wharf is its proximity to the Colebee Centre, you’re right outside your reception venue. 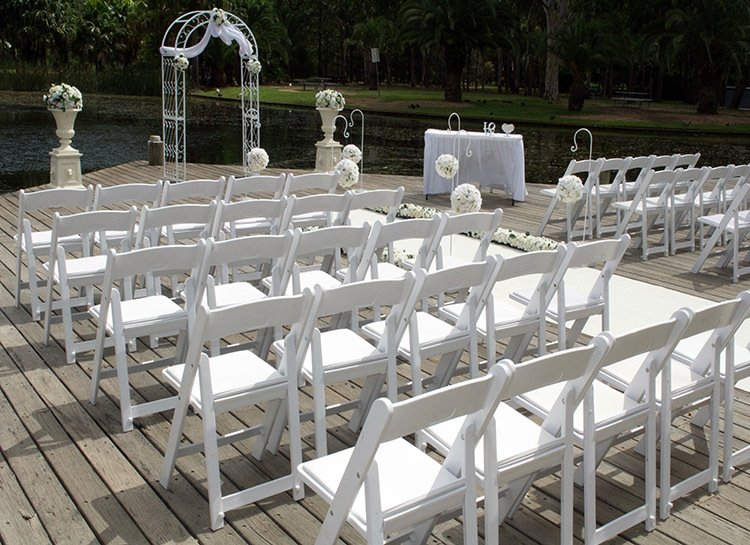 With the wedding ceremony set up on the wharf brides will talk straight down the steps of the Colebee Centre and onto the wharf and the wedding ceremony aisle. Perfect. If you are looking to celebrate your special day at Nurragingy Reserve we highly recommend the Colebee Centre for your wedding reception. Additional benefits of choosing the Nurragingy Reserve includes free parking and more than enough space for your entire wedding. We have a huge range of wedding decoration hire items and we offer wedding ceremony packages pre-styled to help you with the planning of your wedding day. All our wedding packages can be customised by adding decorations or hire items to the ceremony setup. Need drinks at your wedding ceremony? Check out our wedding ceremony refreshments package. Chilled bottled water on a hot wedding day can go a long way to helping the comfort of your guests.